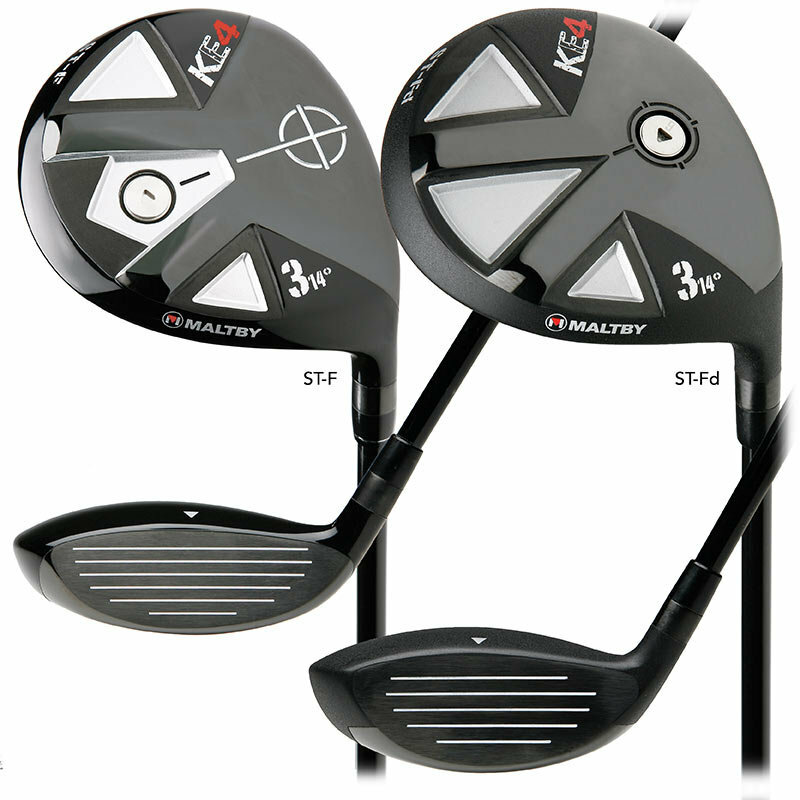 The Maltby KE4 ST-3d features a deep (1.594″) 455 Carpenter Steel face design with weight positioned more forward on the sole to produce a flatter trajectory with less spin. The ST-3d is ideal for golfers that are high ball hitters looking to maximize distance and control off of the tee box or simply desire more carry and roll distance from the fairway. Available in #3 14 degree. The Maltby KE4 ST-F multi-material fairway woods feature a forged 455 Carpenter Steel high strength steel face and a 17-4 stainless steel body to produce an extremely solid feel at impact and very high initial ball speeds. The shallow 1.275″ face height breeds confidence when addressing the golf ball. A very slight hosel offset appeals to all types of players and helps to square the club face at impact and also increases the rearward center of gravity for an improved launch angle. The ST-F fairways woods are weight adjustable to allow for numerous custom shaft and length options. The stock heads comes with a 6 gram weight pre-installed but any of the KE4 weights can be used to adjust swingweight or head feel. In addition, the ST-F fairway woods sole design features a sloped rearward rail design that allows the sole to glide across the turf with minimal ground contact.